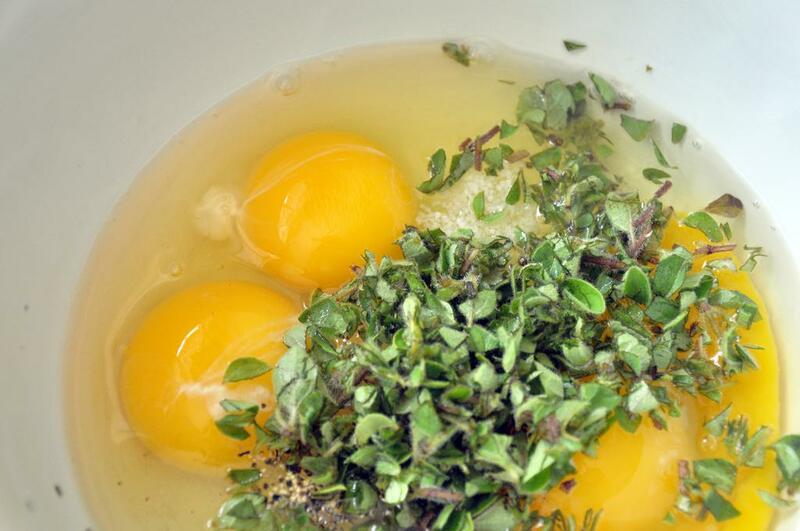 In a medium bowl, whisk together eggs, garlic, oregano and SnP. Set aside. 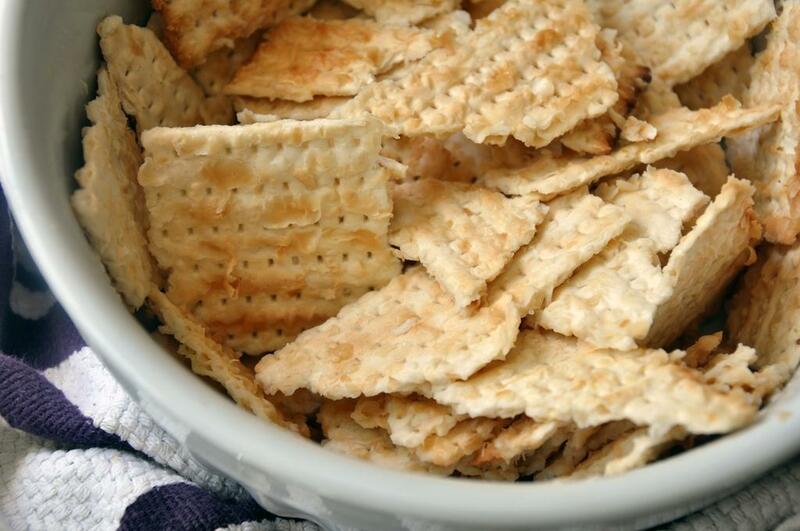 In a larger bowl, break up matzo into smaller pieces (about 2" each). Add 1/2 cup hot water and toss matzo until its soft and all the water is absorbed. 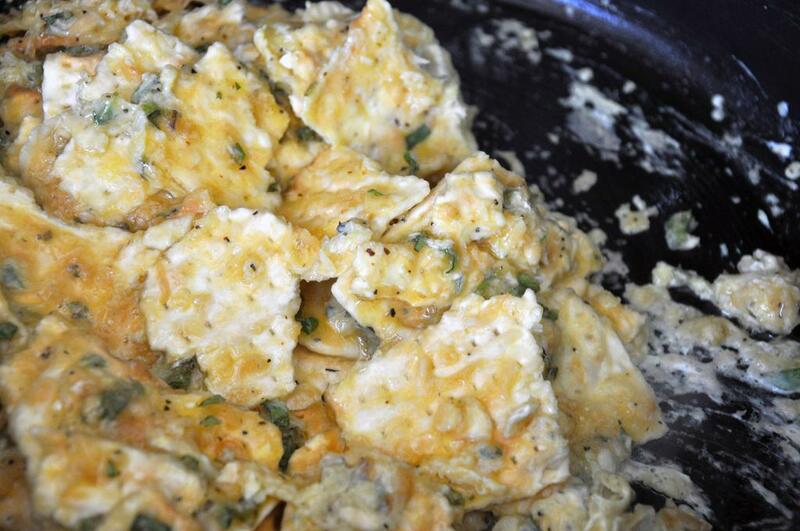 Add eggs to the matzo and toss again to mix. In a large pan, heat butter over medium heat. 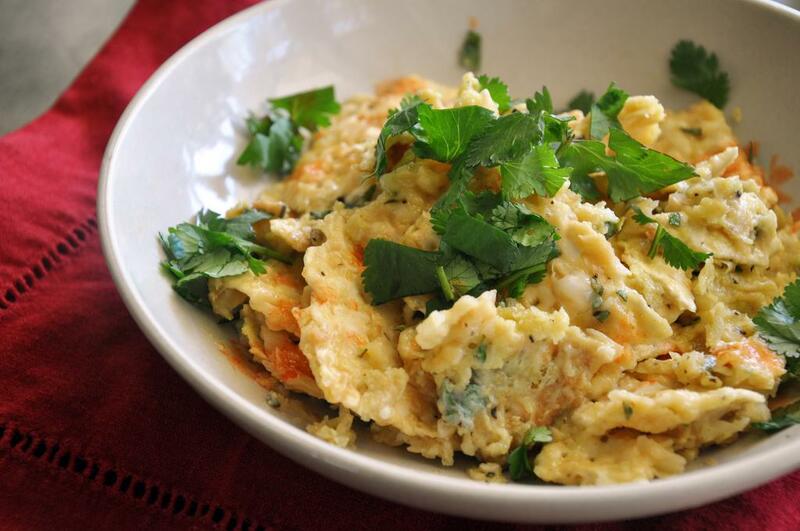 When melted, add egg-matzo mixture and move around in the pan so eggs cook, about 1 minute. Add cheese and toss again, about 1 minute. Remove from heat and garnish with cilantro and hot sauce, if using.